If you were interested in pre-ordering Star Wars Battlefront but didn’t quite want to pay full price, then you’re in luck. It’s been discounted enough at Newegg to make it a little bit more worth your while. 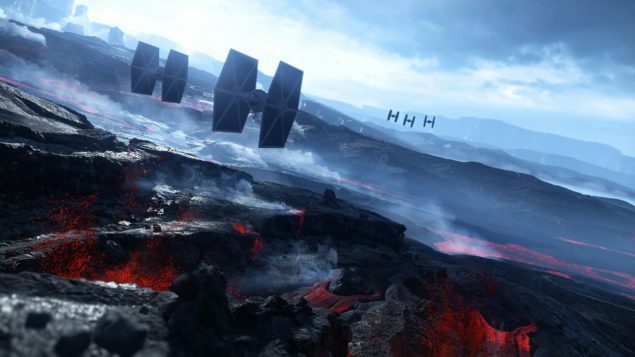 Newegg discounts Star Wars Battlefront just enough to make it that much more attractive. Thankfully they’re offering Star Wars Battlefront for pre-order at a decent price, much lower than anywhere else at the moment. The catch is that it’s only for the PS4 and Xbox One. Check out the deals below to get in on the action. Silly Newegg, offering great deals far before a game is even out. Hopefully this doesn’t end up like the Greenman Gaming incident with CD Projekt Red. Remember too that pre-ordering Star Wars Battlefront will give you access to the Battle of Jakku on December 1st 2015, a week before it’s released to the rest of player base. That may or may not be enticing enough to pre-order, however. The fact that it’s another installment in the Star Wars Battlefront franchise should be the driving force for buying this game. The push to pre-order a game far before release may have gotten a little out of control, but that doesn’t necessarily mean that it isn’t a good mechanism for games that we are legitimately looking forward to. Also, reviews are generally out before the game is released, allowing you a refund before you receive it should you decide it’s not for you. The digital download model kind of negates the need to pre-order, because you can download it immediately, though pre-loading does make a substantial difference for extremely large games.